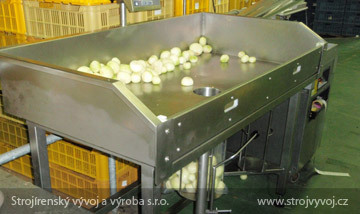 Filling table with a weighing function - Strojírenský vývoj a výroba s.r.o. 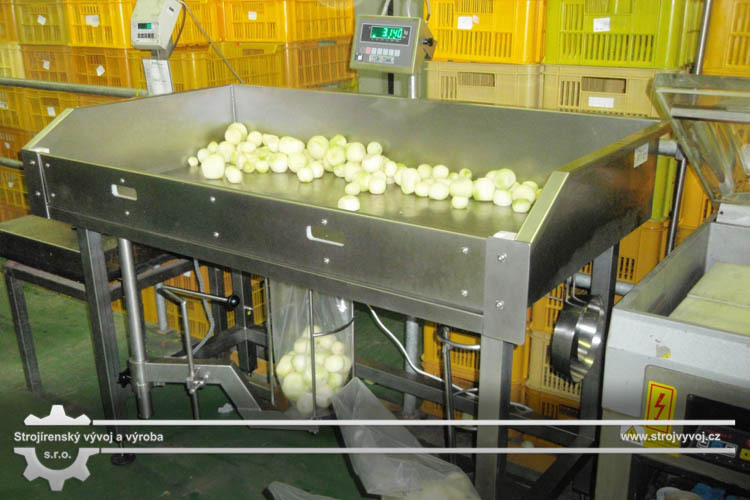 The filling table with a weighting function is designed for the weighing of the material into plastic bags. 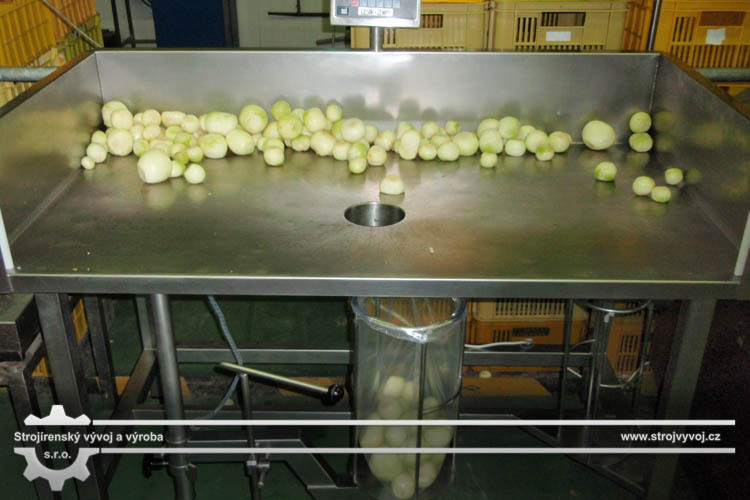 The table is equipped with two filling points adapted for the weight of 30 kg bags. 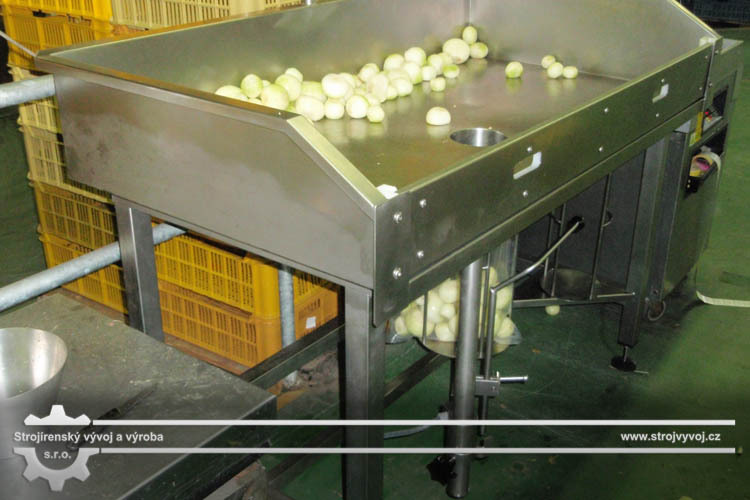 Each filling point is fitted with a strain-gauge sensor and an indicator. The working desk has elevated sidewalls on three sides. The table frame is set up on adjustable articulated feet. 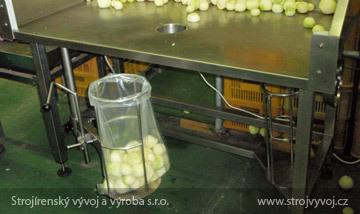 The table features one or two filling points for the filling of material into plastic bags. 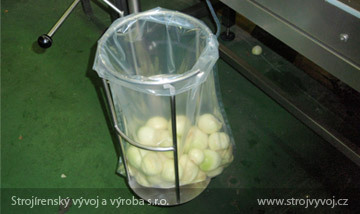 There are baskets into which plastic bags to be filled are inserted. The top rim is of the baskets has a plastic sleeve to prevent damage to the packaging. 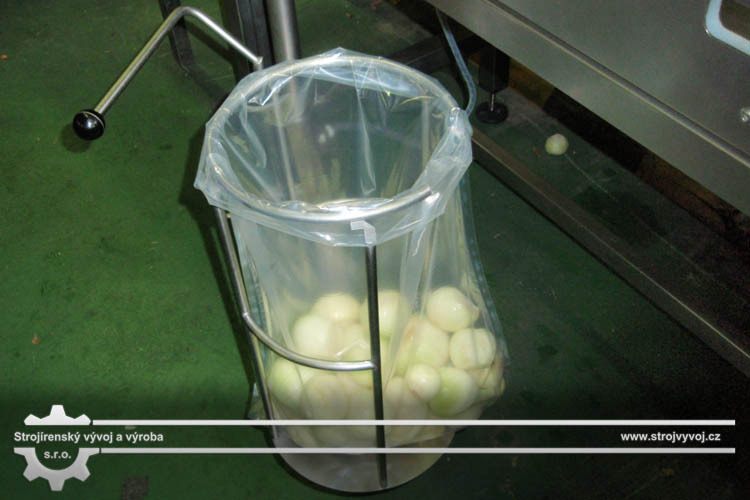 Each basket has a guiding conical ring which keeps the bag in the basket and guides the falling material into the bag. 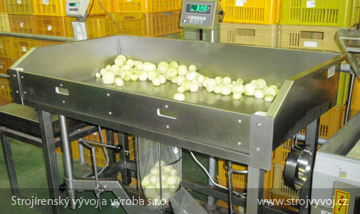 The baskets are placed on rotating arms. There is a pin that will keep the basket in the correct position in the arm. The rotating arm is controlled by a manually adjustable handle. 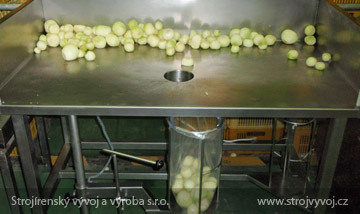 Bags are replaced when the arm is positioned away from the table, while filling and weighting is carried out with the arm positioned under the table. 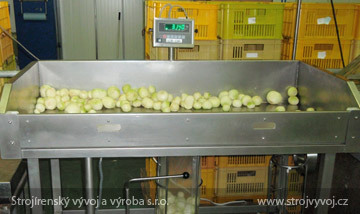 The weighed quantity is shown on the indicator located on the rear side of the table. 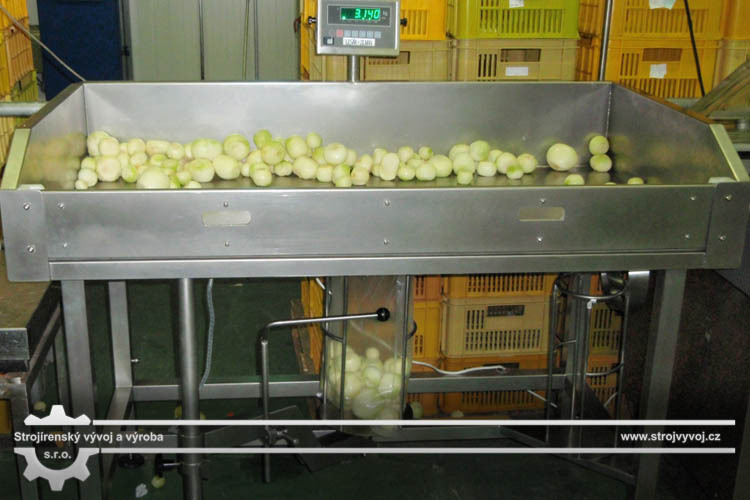 The device is made of stainless steel structure (quality according to DIN 1.4301), including the connecting material of quality A2 and plastic components. 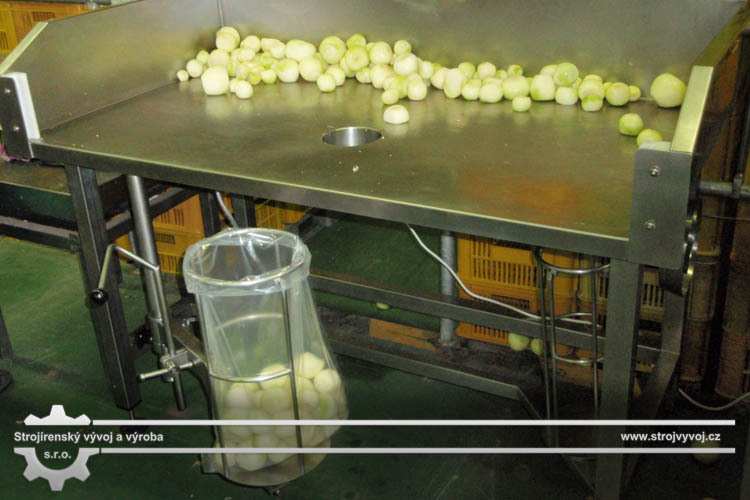 All materials used have been certified for direct contact with food.